The following photographs show the beautiful views and fascinating wildlife which can be enjoyed by visitors. Of course, the face of the moor changes seasonally, but whatever the time of year it remains an area of tranquil beauty. Photographs of other wildlife common to the moor can be found on the Wildlife page. 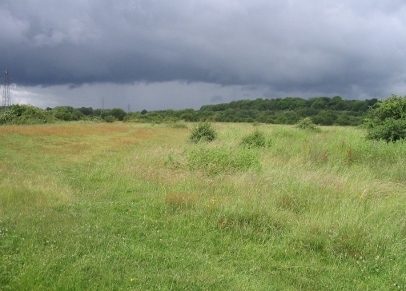 The moor viewed from its eastern most corner towards the River Gade and Croxley Green. Cattle graze on the moor from June to October, providing a natural mechanism of preventing scrub growth. 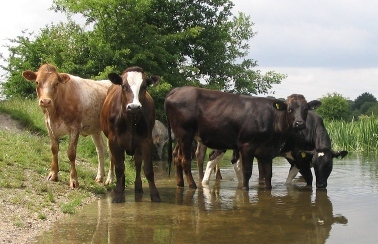 Here the cows enjoy the River Gade on a warm summer's day. Menacing storm clouds gather over the moorland. 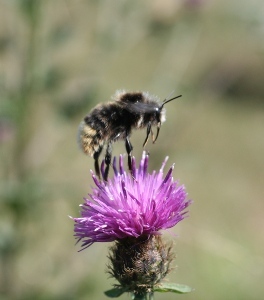 A bee lands on a Knapweed flower. 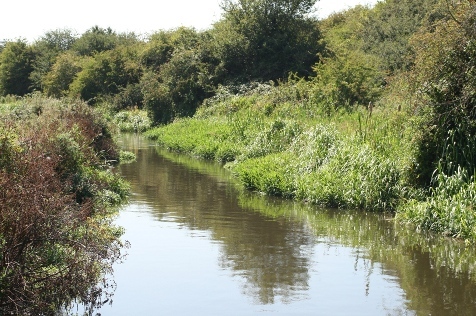 The River Gade, which acts as a natural boundary for the moor on its northern edge. 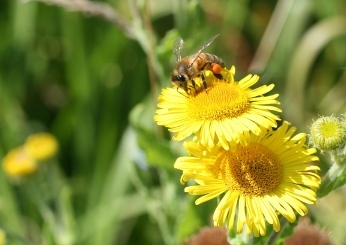 A bee feeds on a Tansy flower.